When you have been winning everything and someone challenges you to lose one day and know the difference between heartfelt happiness and shallow happiness, what would you do? Someone I got to know produced a movie to lose money but he lost his ego and attitude. Well the answer might be right in front of you waiting, just search! 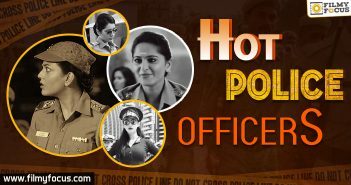 Performances : Naveen Chandra, Sruthi Sodhi and Murali Sharma are the guest roles who happen to play main characters in the story and their performances were just like that. Sruthi Sodhi had an additional job of showing off her clevage even if it wasn’t required. Posani Krishna Murali is just there because he can act and he is available. His mark punches were good here and there. Prudhvi as a comedian is extra busy because he can nail spoof and then that is slowly becoming his downfall too. 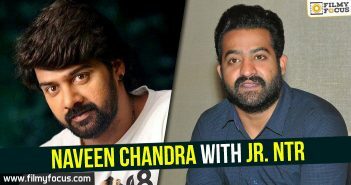 In way too many films even though he can do other things, he is asked to spoof Nandamuri Balakrishna to no end. It is getting very very routine as a new Friday goes by. He was able to tickle funny bone here and there. Saloni as an actress looked sincere in comic timing and her exuberant smile still has twinkle in it. All others were just there to do what they were asked and take a paycheck! Technicalities : Cinematographer P Balreddy seems like needs education related to staging and blocking a camera angle. He just looked like very amateur at times, highly professional at others. May be the inconsistency needs some erasing and razor sharpening. Gautham Raju was there to deliver a cut and he did. DJ Vasanth gave a score that needs to be forgotten even while we are hearing it for the first time. No effort from his side to enhance the scene through BG Score. Director E. Satti Babu proudly calls himself a protege of great EVV Satyanarayana and identifies himself belonging to his taste of humour. But with age the director seems to have lost grip of what is spoof, sketch and satire comedy. He just tried to make an amalgamation of all and failed miserably in mailing at least one. If a director who is working for two decades in the profession and doesn’t know the difference between good satire and spoof, then you have just think he got lucky during his early years. This is just an unforgivable output from him. Writers should read Pedabalashiksha (Telugu Encyclopedia) and book on Nanardhalu (Synonyms) to understand how different are Santhosham and Anandam before giving a ridiculous explanation to their lazy writing. One can’t understand their penchant on writing a spoof after another. What could have been an healthy satire ends up being a dragged out youtube spoof video. Analysis : Nothing in this movie not even the jokes on popular movie makers seem legit. They just happen to be there in the script as someone felt they were comic enough. 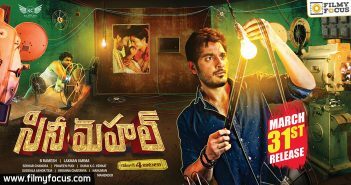 One cannot fathom why Telugu Film Industry is thinking different and concept oriented films means stories that would have been good as 5 mins or 10 mins short films blowing out them into senseless feature films. Avoid this movie and save yourself some sane time. Rana turns a host too! 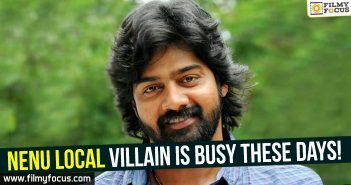 Nenu Local villain is busy these days!